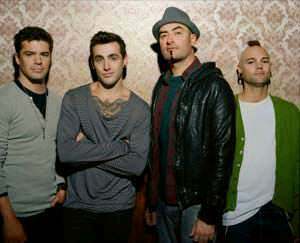 Hedley is a Canadian pop rock band comprising lead singer Jacob Hoggard, Tommy Mac on bass, Dave Rosin on lead guitar and Chris Crippin on drums. The current band retains the original name of Hoggard's pre-Canadian Idol group, although the membership has changed. The band originated in Abbotsford, British Columbia. They were named after the town of Hedley, British Columbia, a name chosen after members heard that it was for sale for $246,000. .